Still embroiled in the ongoing ignition switch recall, General Motors announced today three more discrete recalls, affecting a grand total of 1,546,900 vehicles in the US. The Detroit News reports that some 1.7 million vehicles are affected overall in North America. 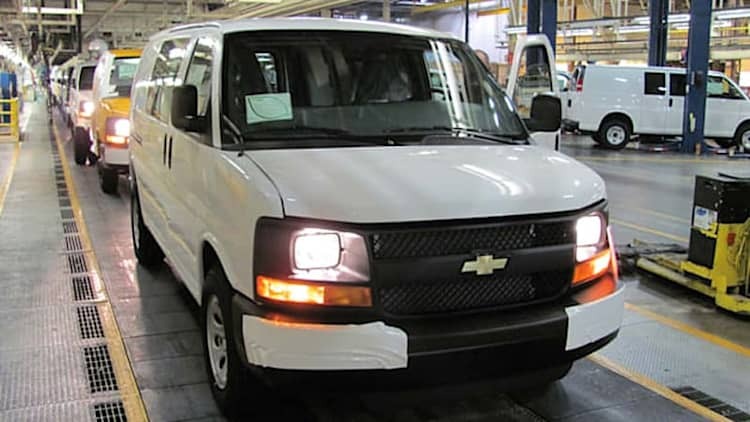 Looks like the NHTSA investigation of the Chevrolet Express has turned into a full-blown recall. Some 9,000 of the full-size vans may have fuel filler pipes that are prone to excessive corrosion, which can lead to leaking. Fuel leaks, of course, lead to the possibility of fires. 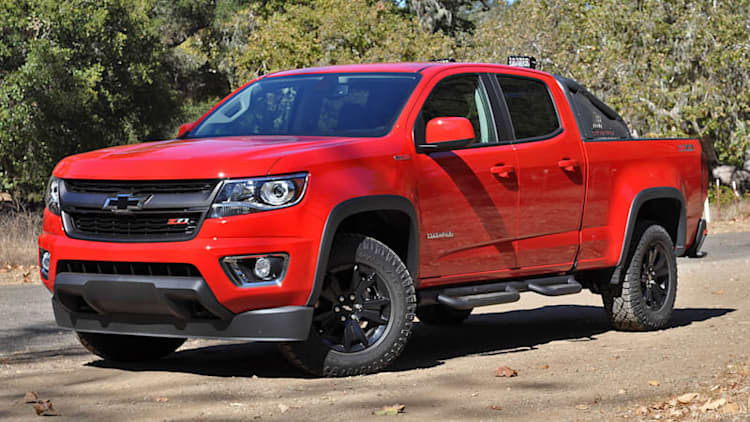 Recalls have been issued for four 2012-model-year General Motors products over steering-gear issues. The Chevrolet Suburban and Express and GMC Savana and Yukon XL could suffer from pitman shafts that weren't hardened properly, potentially leading to a fracture and a loss of steering. There are 6,159 vehicles involved in the recall. What's the biggest compressed natural gas (CNG) vehicle order that GM has ever received? Thanks to an announcement yesterday from the automaker and AT&T, we now know the answer is 1,200 vehicles. AT&T has ordered up 101 Chevrolet Express Cargo 2500 vans outfitted from the factory with General Motors' compressed natural gas (CNG) system. GM claims that the van's natural gas-capable Vortec 6.0-liter V8 engine gets a gasoline-equivalent fuel economy of 11 miles per gallon in the city and 16 mpg out on the open highway. Fuel tank capacity (illustrated above) ranges from 15.8 to 23 gasoline-equivalent gallons. 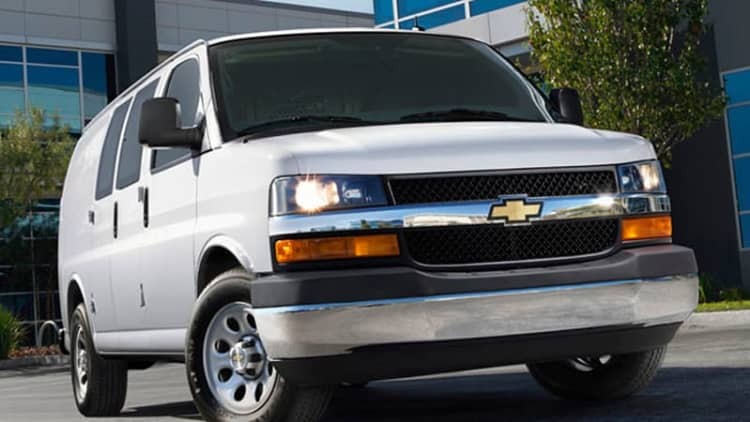 Last fall, General Motors announced that commercial fleet customers could order the full-size GMC Savana and Chevrolet Express vans outfitted with either compressed natural gas (CNG) or liquefied petroleum gas (LPG) fuel systems. Now, GM has expanded its LPG option to include the 2012 Chevrolet Express and GMC Savana cutaway 3500 and 4500 vans. General Motors unveiled its optional, fully integrated compressed natural gas (CNG) fuel system used in conjunction with the company's 6.0-liter V-8 engine. This integrated setup is found within the spacious confines of its 2011 Chevrolet Express and GMC Savana cargo vans. The vehicles, unveiled at the Green Fleet Conference in San Diego, CA, will be available to fleet customers and government agencies come November.